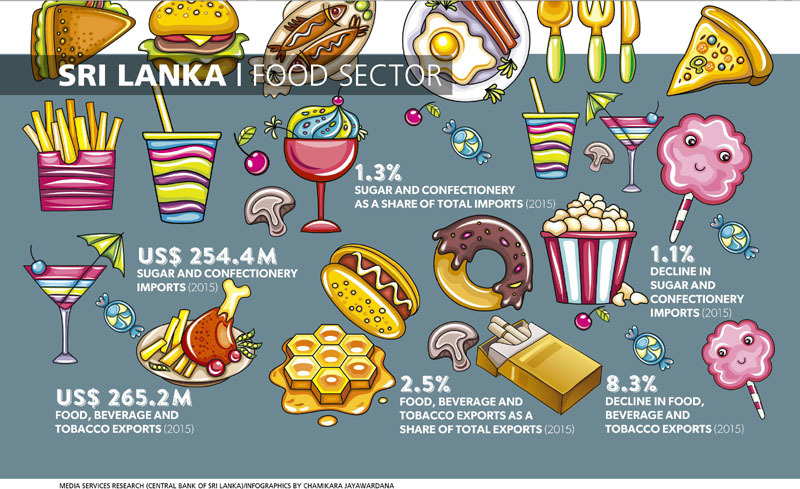 Sri Lanka’s biscuit market has been growing apace – and along with the expansion in the sector, many new categories of biscuits have entered the market. And whenever there’s a deceleration of sector growth, a switch to lower price point products is the norm. Some 25 years ago, Marie biscuits dominated the market with over 40 percent of volume coming from this one category alone. Over the years, Marie has lost ground to new categories although along with cream crackers and lemon puff, it remains a firm favourite among many consumers. Apart from competing with 50 biscuit manufacturers in the market, the biscuit segment also has to face off with confectioneries – the two make up a sector: biscuits and confectioneries. ASTUTE MARKETING The good news is that the biscuit segment enjoys reasonable export demand from overseas markets. That said, the demand for local chocolates has been low. What’s more, only innovation can drive the export of biscuits and confectioneries from Sri Lanka as we cannot compete on price points. “However, volume is driven by price-sensitive products as we have to work with price points. In biscuits, the Rs. 20 spot is very important. Among chocolates, it is the same for volume-driven products under 15 rupees. But even higher-priced chocolates are showing good growth and that is an indication that price doesn’t rule everything,” she points out. Given that there are so many players in the market, the role of astute marketing takes on added importance. Wickramasingha notes that with greater globalisation, more players – both local and global – are entering the market. She adds that this is reflected in the extent of advertising one sees in the media for these products. Ultimately, products must be relevant to the evolving tastes of consumers. 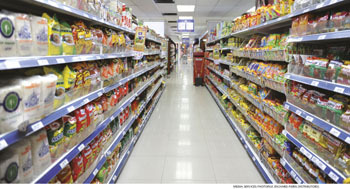 In Sri Lanka, while wider sales are still witnessed in the general trade sector or smaller outlets, volumes in modern trade or supermarkets are expanding too. “Today, the life cycle of products is very short and could extend only for a few months. It’s a different world with our youth wanting constant change. Trends are also important to follow, with social media channels such as Instagram being successful in trending. No longer do trends take months and years to evolve. Companies that adapt to these realities will be at the forefront of the game,” she declares. MARKET REGULATION It is heartening to note that the sector is well-regulated. The food sector falls under the purview of the Health Ministry. There’s no mandatory fortification demanded by the regulators but any claim of nutrients in a product undergoes a stringent review by the Food Advisory Committee. “One of the problems with regulation is that different sections come under different ministries. This makes implementation difficult for the sector as there is no one apex consultative body. This is an area that needs to be addressed by the regulators to ensure clarity,” Wickramasingha urges. The Food Act comes under the Ministry of Health and in some instances there have been contradictory regulations, she contends. There is also a very active Consumer Affairs Authority that falls under the Industries and Commerce Ministry, which has the mandate to issue regulations. “This will happen in Sri Lanka as well. It’s all about understanding the changing needs of your consumers, and providing them with solutions that they enjoy and in which they have confidence. We need to maximise the potential of local raw materials such as spices and coconut,” she elaborates. But the sector faces challenges when disposable incomes are restricted. “Unfortunately, the middle class is caught up in purchasing lifestyle needs, seduced by attractive easy payment schemes that leave little room for buying high-quality food,” Wickramasingha argues. 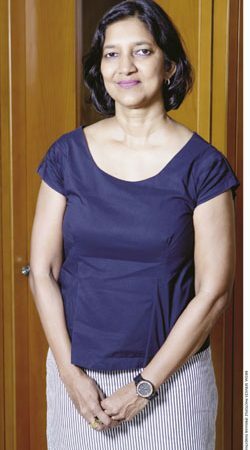 However, she prefers to look on the brighter side, which is that the food sector will always remain relevant.